Bentley is showing its EXP 10 Speed 6 around the world to gauge reaction. Bentley wants a piece of Aston Martin's sports car business. It's testing the waters with a two-seat concept coupe that has received acclaim on the auto show circuit, says Wolfgang Duerheimer, CEO of Bentley Motors. The car with the complicated name -- EXP 10 Speed 6 -- is being seriously considered for production, Duerheimer said. It would be priced similarly to the Continental range, which starts at $196,225, including shipping, for the GT V-8 sedan. Duerheimer wants to expand the Bentley range beyond the Continental's three-car lineup, the full-size Mulsanne and the new Bentayga crossover due next year. He envisions Bentley having one or two additional models, giving it at least six vehicles and global sales of 15,000 by 2018, up from a record 11,020 last year. Duerheimer, 56, is an industry veteran who returned from Audi AG to run Bentley and Bugatti in June. He had been CEO of Volkswagen Group-owned Bentley and Bugatti from 2011 to 2012. One of his first moves after returning was to revive Bentley's two-seat coupe and large convertible projects. The coupe is high on the list of new models. Last month during the New York auto show, Bentley set up a studio for five days in New York's hip Meatpacking District to show the coupe and other models to certain customers and potential conquests. About 1,500 went through the studio, meeting with designers and representatives from the factory in Crewe, England, and tinkering with Bentley's car configurator. The coupe also went to the Shanghai auto show in late April and then to the Middle East before coming home to the U.K. Duerheimer said the final evaluation will be made in the fourth quarter and approval is expected next year. Bentley also is working on a car based on the Grand Convertible concept shown in November at the Los Angeles Auto Show. The car is a two-door version of the range-topping Mulsanne sedan. Duerheimer provided no timing for its launch but said he was "fairly optimistic" that the large open-top car would be built. 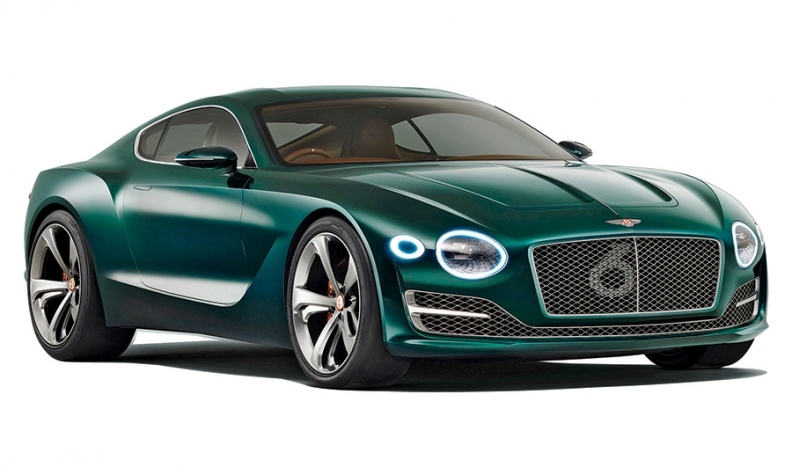 Bentley is adding models because "we do not intend to give up our premium position. We are leader of the pack in Europe, the U.S. and China," he said. Last year, Bentley's 11,020 global sales were up 9 percent from a year earlier. In the United States, Bentley sold 3,003 cars, up 1.3 percent from a year earlier, according to the Automotive News Data Center. Bentley has 205 dealerships worldwide and 46 in the United States. By 2018, Duerheimer expects the number of vehicles in the ultraluxury segment to double from today, and Bentley's sales to increase to 15,000 vehicles annually. The Bentayga will drive most of Bentley's increase -- initially about 3,600 will be built and one-third will go to the United States, Duerheimer said. It will be priced at about $200,000. Duerheimer said the Bentayga's polarizing styling has been changed since it appeared as a concept three years ago at the Geneva auto show. The production version has a face that resembles the Continental range and the side vents and lights are different, but side flanks remain the same, he said. The production model likely will debut in September at the Frankfurt auto show. Timing for next year's launch or a date for U.S. sales was undisclosed. Aston, Rolls-Royce and possibly Bentley sibling Lamborghini will enter the ultraluxury crossover segment in the coming years. Mercedes-Benz's Maybach subbrand also is expected to have a crossover. The Bentayga is expected to be first, and Duerheimer promises "it will be the most luxurious, the fastest and the most expensive on the market." "If you want to shop at the top, there is no way around a Bentley showroom."